The Ludi Bin: Is Marriage too Boring for Video Games? Is Marriage too Boring for Video Games? 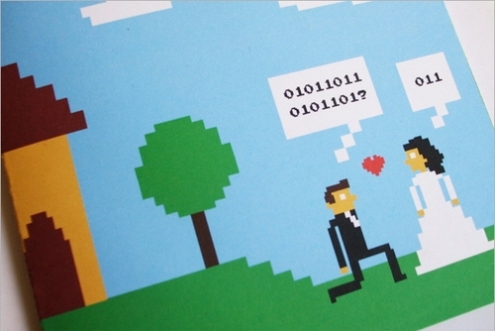 This month's Blog of the Round Table (BoRT) is about love: can games communicate love? This means OPINION time. The games that try to communicate deep romantic love are piddling at best, because they are based on a fantasy. The closest thing to a real relationship in a video game is a dating sim where your character builds up a gradual relationship over time and they have conversations and help each other with problems. I still haven't finished Dragon Age but I can believe that it includes these aspects of a romantic relationship. Even in these games, it seems like every conversation option makes or brakes the relationship (or gets you favor points). In real life, romantic relationships contain more instances of mundane activities and conversations, like what to have for dinner or what kind of car insurance to get. Obviously, in a fantasy world, players don't have to worry about these things. The most mundane part of the relationship, in a video game, might be travelling together, or buying something for the sake of the relationship (self-improvement objects or gifts). In video games with conversation options, the player has time to contemplate them--nothing is said in the heat of the moment, and I don't think I've ever seen a game where a character's crankiness changes based on hunger or tiredness. Maybe it's more accurate to say that initial dating relationships can be simulated fairly well, but games have yet to simulate a believable long-term or married relationship (Skyrim marriages don't count). I'm not sure why there isn't more marriage in games; marriage is a fantasy for a lot of people. I think a simulation game (not just for a relationship, but with a job or something too) with various scheduled activities and stats ("relationship health meter") could be really fun. Do you know a game that simulates a romantic relationship in a way that's satisfying? Would a marriage sim be too boring? Let me know in the comments!